The Neuberger offers dynamic and engaging opportunities for Holocaust education and commemoration for people in their 20s and 30s. Our newly-expanded Legacy Holocaust Education Committee provides many ways to connect. In addition to the annual Legacy HEW Symposium and Experience Jewish Life in Vienna study tour, we have a trip to Berlin, programs for Yom Hashoah, lectures and film screenings, and intimate programs throughout the year. Please join us! 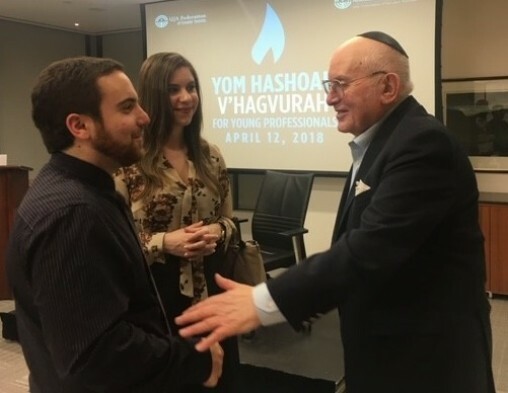 Join Neuberger Young Professionals, UJA's Genesis and The House on Holocaust Remembrance Day - Yom Hashoah for this annual comemorative program for young professionals. 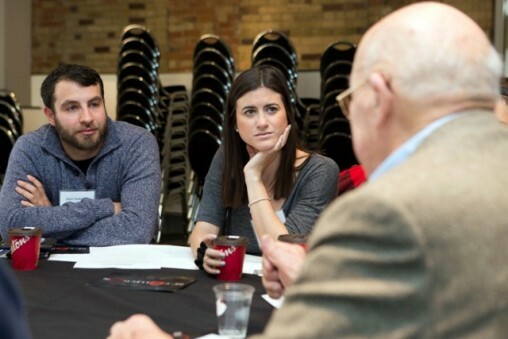 Featuring a Holocaust survivor speaker, individuals in their 20s and 30s will have an opportunity to remember and dialogue about the Shoah in dynamic and engaging ways. This year’s program includes Holocaust survivor testimony, short films, and a commemorative ceremony. This program is generously sponsored by the family of Holocaust survivor speaker Arnold Friedman z”l whose commitment to Holocaust education inspired so many. Looking for an exciting and inspiring summer educational experience? Spend a week in Europe immersed in the rich Jewish history and culture of Vienna while exploring the modern city. Experience Jewish Life in Vienna is a unique trip for young professionals to learn about the city's past, experience its present, and dialogue about the future. Subtitled “Past, Present and Future,” the program brings young professionals from Canada is to experience Vienna’s current, thriving, dynamic Jewish community in the context of the city’s dark past while dialoguing with community members, civic leaders, academics, experts and peers about the future. 7 nights hotel accommodation (based on double occupancy). Expert English speaking tour guides for historic sites and memorials / museums. Ground transportation (metropass and buses for excursions). All entrance fees, speakers and site visits included in itinerary. Meet-ups with young Austrian professionals. All costs associated with travel to/from and flights are not included. Travel is booked independently by participant after confirmation of acceptance to the program. Contact Michelle at mfishman@ujafed.org for information about this program and future travel opportunities. conversations with guest speaker Faigie Libman. 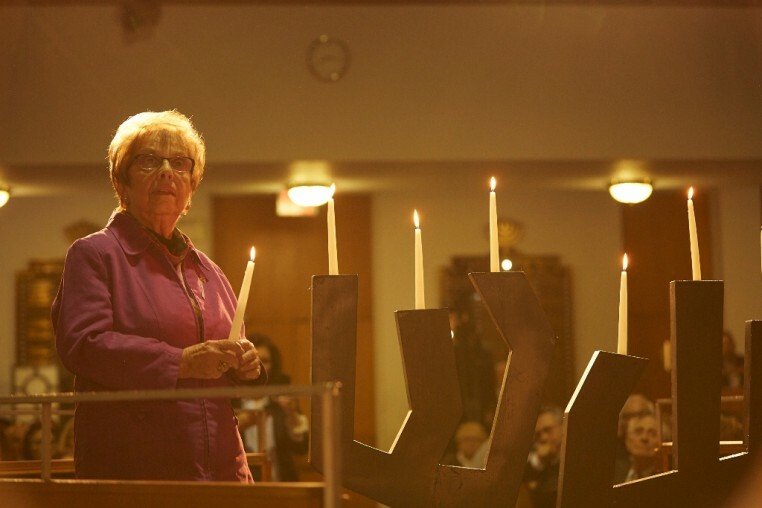 Special Kabbalat Shabbat services with Holocaust survivor Faigie Libman. Cost: $25 per person advance reservation only by Wednesday January 23. ** You can also register by calling the Synagogue office at 416-781-3511. Thank you for joining us for the Neuberger's annual HEW symposium for young professionals, which featured engaging ways to consider the theme of Untold Stories, including workshops, survivor testimony, discussion, and a keynote. Nearly 200 participants in their 20s and 30s considered different perspectives of Holocaust education and remembrance.